Condemnations have poured in from across the world after the United States announced its decision to designate Iran’s Islamic Revolution Guards Corps (IRGC) a terrorist organization. Turkish Foreign Minister said the move will pave the way for instability in the region. Mevlut Cavusoglu, speaking alongside his Qatari counterpart in a joint press conference, added the measure was a step outside international law. Doha’s top diplomat Mohammed al-Thani also denounced the US blacklisting of the Iranian military force, saying that disagreement with another country’s army should not be settled through sanctions. Meanwhile, Chinese Foreign Ministry spokesman said Beijing is opposed to power politics and bullying. Baghdad warned the US that its actions will have negative repercussions for Iraq and the region. Iraqi Prime Minister Abdul-Mahdi said that his country will maintain friendly ties with both parties to prevent tensions in the region. The Iraqi Premier said that Baghdad has already told the American commander in the country that Iraq would not accept being used for any acts of aggression against other states. The US move has also been condemned by Iraq’s Popular Mobilization Forces and political factions. Following the recent US hostile act, the Popular Front for the Liberation of Palestine stressed that the US move would put the occupiers under fire and this action cannot save the mercenary regimes from the collapse. The Palestinian Islamic Jihad condemned the blacklisting of the IRGC saying in a statement that the US is one of the main sponsors of terrorism, and its policies threaten peace in the world. The movement insisted that the US support for the Zionist terrorist crimes against the Palestinian people is an evidence of its crimes against humanity. China’s Xinhua News Agency said in a statement that Trump’s decision to place a military on the terror list will worsen the situation in the region. “Many believe that the move by the US government will complicate the situation in the Middle East,” reads the statement. Furthermore, Damascus strongly condemned the hostile decision of the US government against the Islamic Revolution Guards Corps and described it as an obvious violation of the sovereignty of the Islamic Republic of Iran. An official source at the Syrian Foreign Ministry stated that the US government’s irresponsible act is in line with Washington’s covert anti-Iran war to serve Israelis. The US action proves that it has admitted the important role of the IRGC in defending the sovereignty of the Islamic Republic of Iran and its important role in the resistance, the source added. 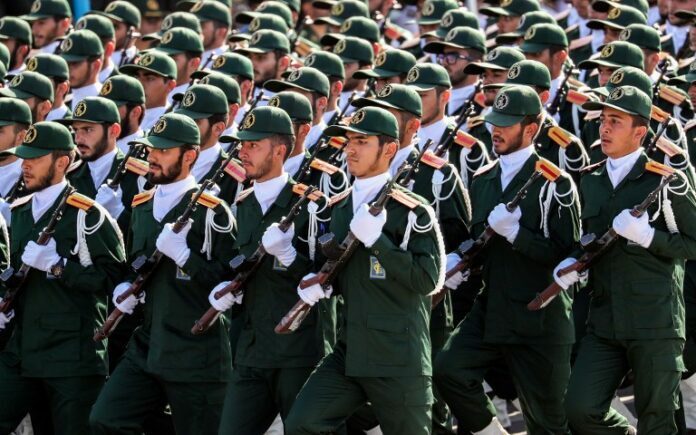 The UK and Japan also announced that they will not follow the United States in labeling Iran’s Islamic Revolution Guards Corps a terrorist organization. Japanese Foreign Minister Taro Kono says Tokyo has maintained a close relationship with Iran, and that, it will continue working to solve problems through dialogue. Japan is the latest country joining a chorus of condemnation against the US move. However, Bahraini Foreign Ministry welcomed the US decision to blacklist the IRGC. Experts say Netanyahu’s choice of words seemed to imply that Trump’s earlier decision to recognise Israeli sovereignty over the Golan Heights was also a gift given at the request of the embattled Israeli prime minister. Senior Pentagon and CIA officials opposed Trump’s decision to impose sanctions on the military unit and affiliated companies and individuals, arguing that it would allow Iranian officials to justify deadly operations against Americans overseas. Trita Parsi, founder of the National Iranian American Council, offered this as proof that Netanyahu now seems to have more sway over the president’s decisions than his own military and intelligence officials.